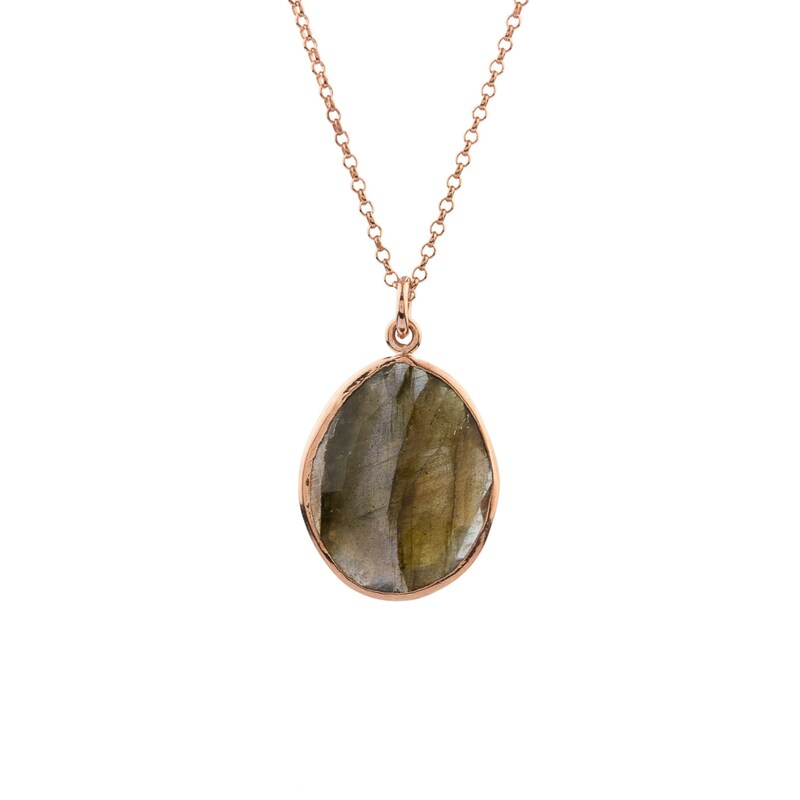 Simple but elegant, labradorite silver designer pendant rose gold plated. Chain is included. 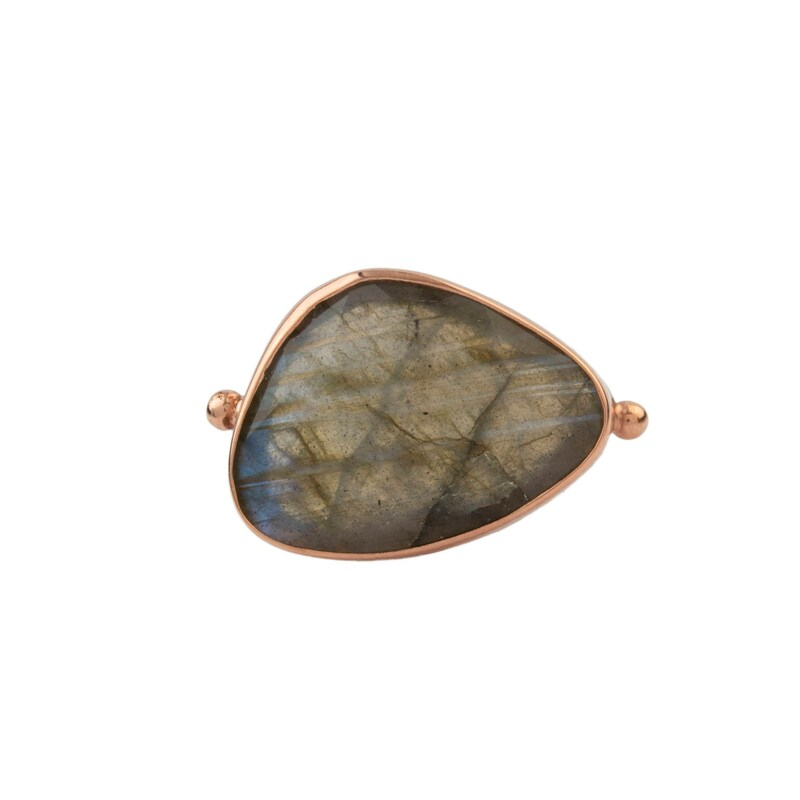 925 Sterling Silver , rose gold plated . 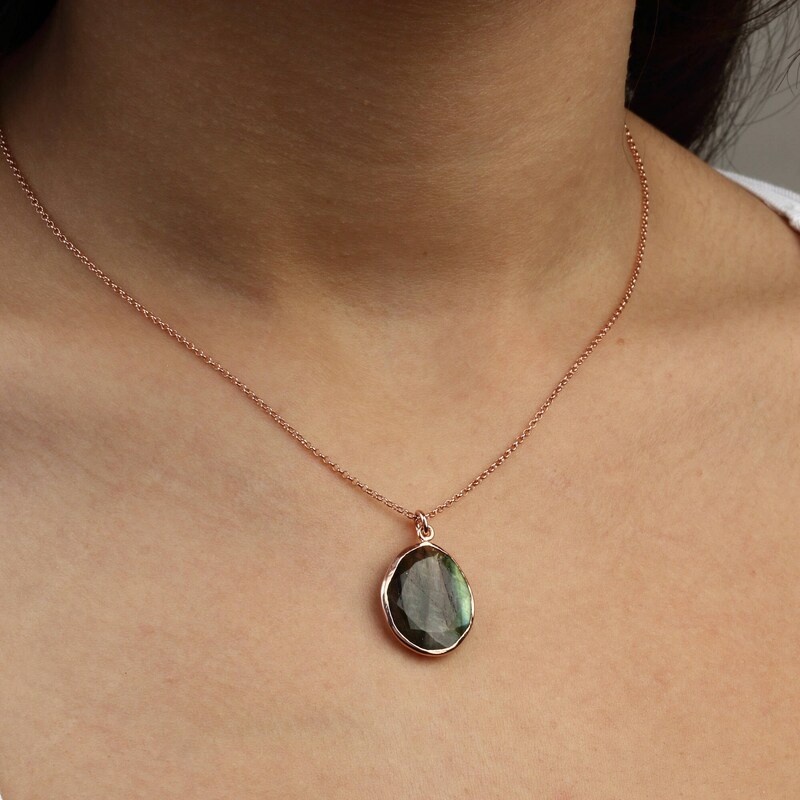 Labradorite is the most powerful protector of the mineral kingdom, creating a shielding force throughout the aura and strengthening natural energies from within. It protects against the negativity and misfortunes of this world, and provides safe exploration into alternate levels of consciousness and in facilitating visionary experiences from the past or the future. 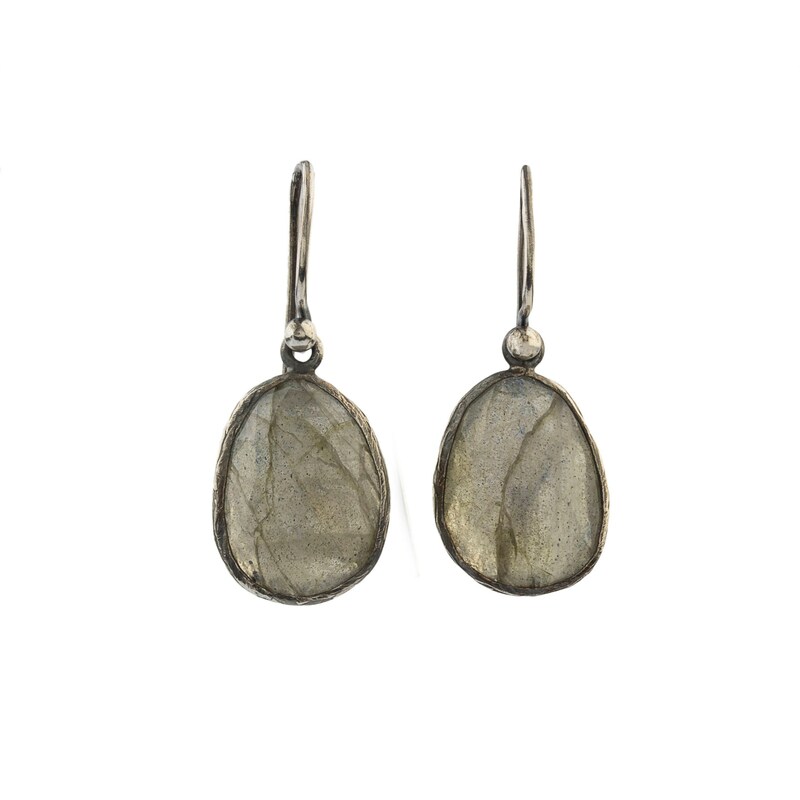 I love to work with labradorite. 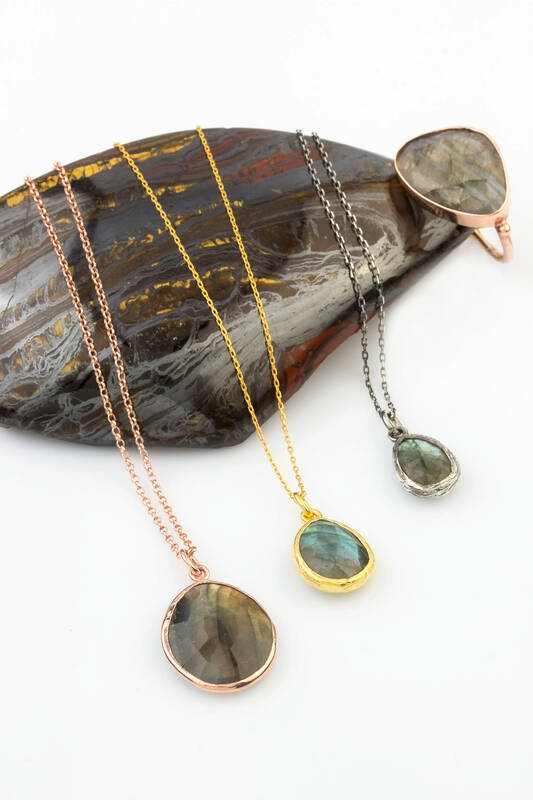 I also offer matching ring to this beautiful necklace. 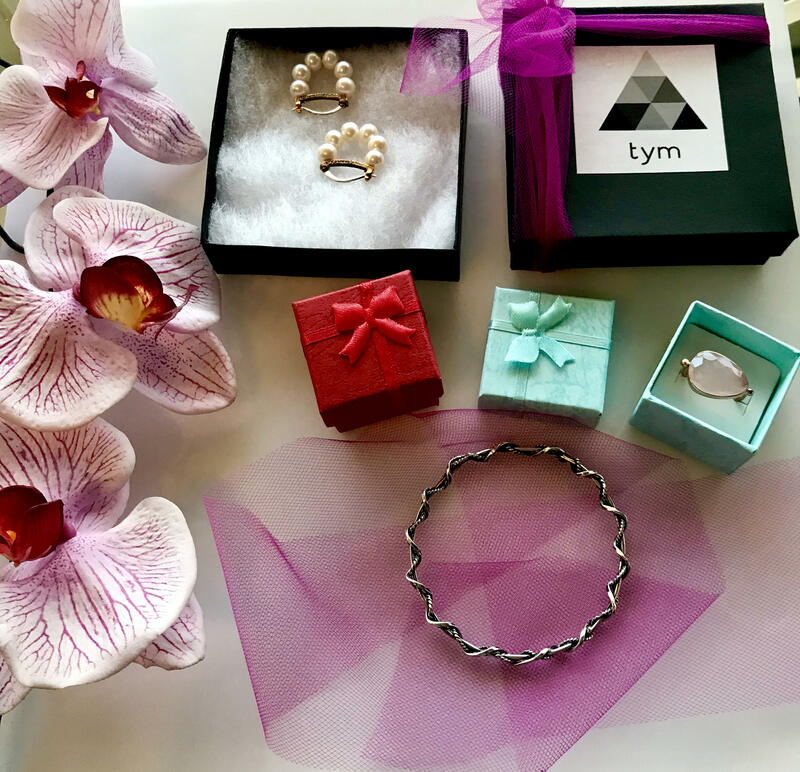 Here is the link to the ring.